Do KEVA planks work on Carpet? KEVA planks work great on carpet as long as the carpet is not 1960' shag. Just place the first plank flat to create a base from which you can build. Small projects can be built on a book. How do KEVA planks compare to other construction blocks? 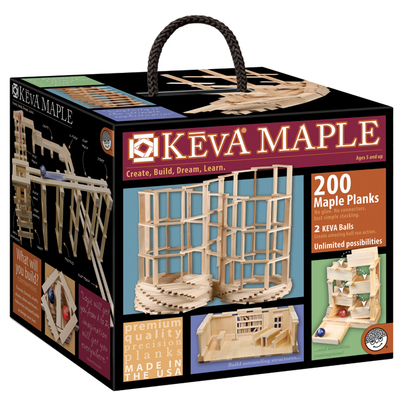 KEVA planks are the same size and shape as another major brand from France. The sets are compatible. If building very intricate structures you would want all the same type of planks in the critical areas. How do the blocks stay together? Gravity. There are no connectors or glue. The planks are cut with great precision so they fit together very nicely. Structures are more stable than one would expect. If there was any variation between the planks the towers would wobble and buildings would crumble. With KEVA planks, they stand firm. That depends on what you want to do. Most people start with 200 planks. That is enough to make some impressive towers that can reach the ceiling and nicely detailed table projects. If you find that you or your children really enjoy the activity, you will probably want more. The more you have the more spectacular the structures become. Also more blocks mean several people can build at one time and the session will be longer. People tend to build until they run out of planks. 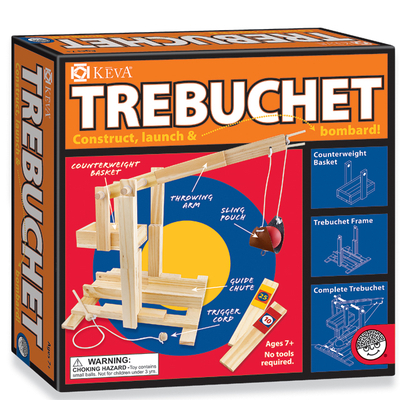 The least expensive toy you will ever buy? These prices look expensive to me. Well....If you price it per- hour-used over the course of a year, it will probably be the least expensive toy in your home. 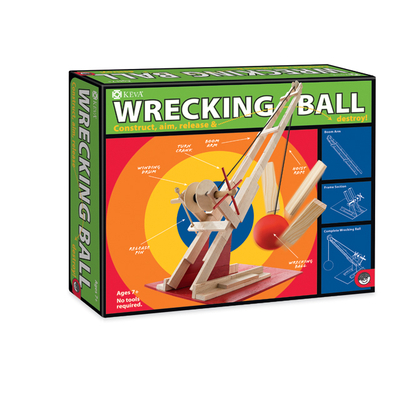 Many families say it is their most frequently used toy. Kids play; cousins play; Dad stays up late to build something after the kids go to bed: any age guest will be entertained. Children do not tire of it. They become more engrossed as their building skills progress. 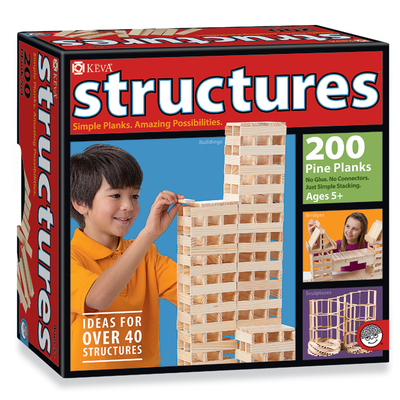 What is the tallest tower ever built with KEVA planks? 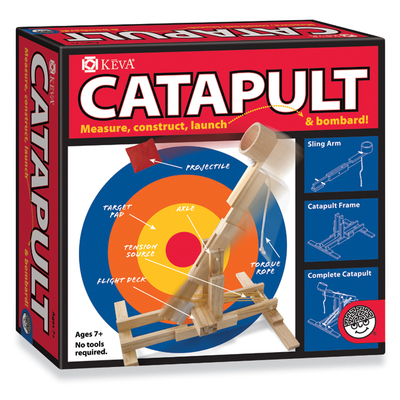 The Tallest KEVA tower was 51 feet, 8 inches- built at the National Building Museum in Washington DC in 2006. 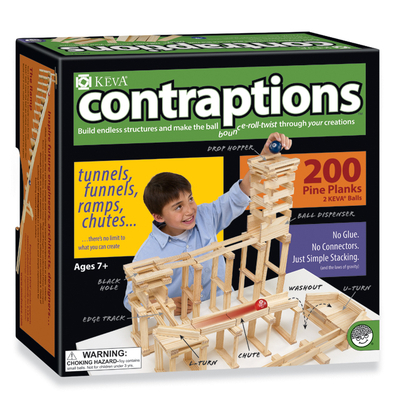 Why Are KEVA planks better than other construction sets? 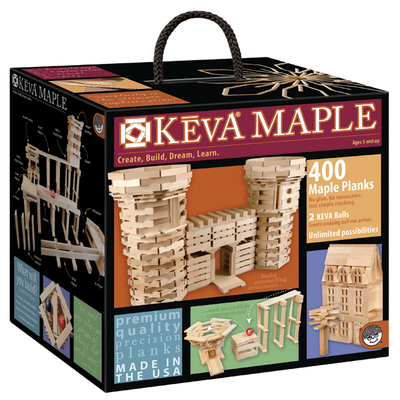 We would humbly say that KEVA planks are not necessarily better than other construction sets. However, we are certainly unique. By having every piece exactly the same, builders do not spend any time searching for a particular connector, carefully maintaining an inventory of parts or finding that you do not have enough of the correct pieces. With KEVA, the building starts immediately and the project concept tends to flow as you go. It is very easy to try new ideas as you build. Will an older child play with blocks? Thanks... we like to call them planks -- then it's not embarrassing. 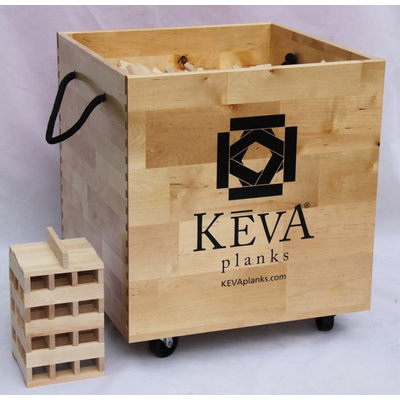 KEVA planks appeal to adults as well as children. Architect firms have held building contests. Preschools use them, elementary schools, gifted children's programs, children with special needs, corporate team building and more. Kids do not outgrow KEVA planks. Want to sell KEVA products? Contact Mindware Wholesale.